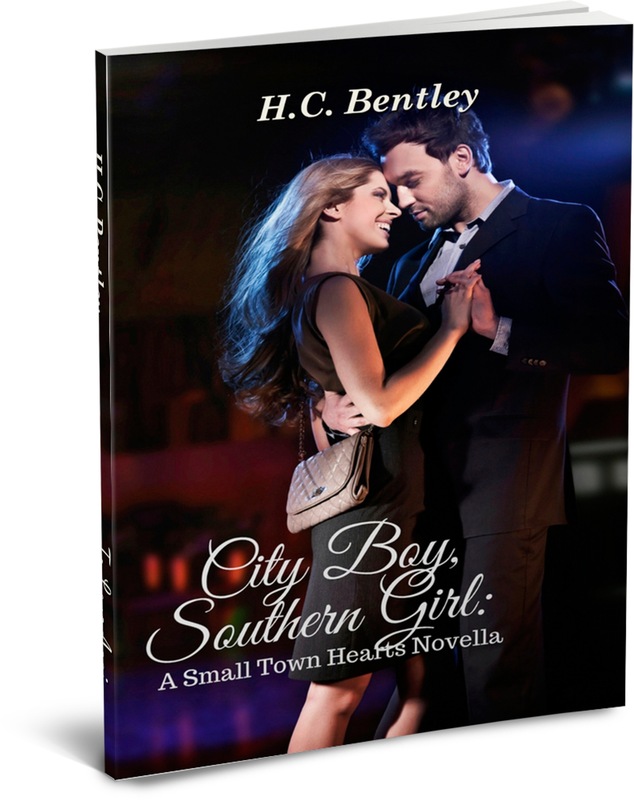 Review – City Boy, Southern Girl: A small town Hearts Novella. 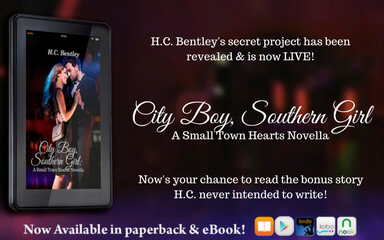 A novella that’s packed with all the feels of a full length novel, if you’ve read H.C Bentley’s small town hearts books then you will feel very at home with the characters in this novella… if you haven’t then go grab them now and fall in love. This Novella can be read as a Standalone and is beautifully written, it’s not a insta love for Jake and Sarah but a slow burn with a plot that keeps you utterly captivated from start to finish. Will Jake and Sarah get the HEA that they both want or is heartbreak on the horizon? 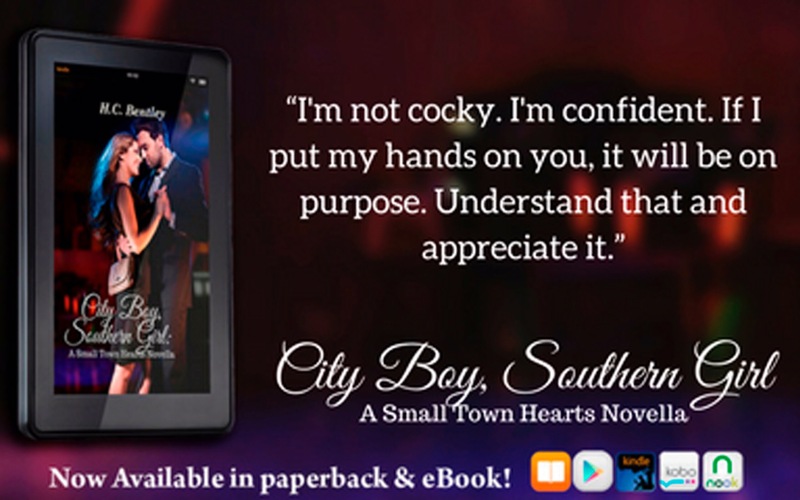 Grab your copy today and fall for a city boy in a small town. 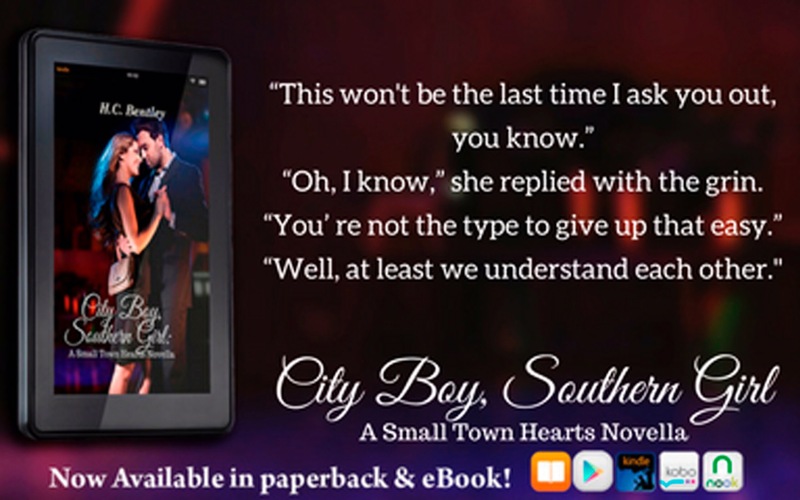 Growing up in a small town, Sarah Wright knew city boy Jake Ryland was going to be trouble the minute she saw him. In order to help a friend, Jake moved from his home in the city – with its vast amounts of entertainment options and women – to a small town in the middle of nowhere. Accustomed to the fast paced life he loved, life now seemed to move as slow as the molasses the South was known for. Until he met Sarah. As their relationship builds, so does their chemistry…and their feelings for one another. Do they try to find a way to make it work, even though they come from different worlds? Or do they walk away now and wonder what might have been? Review ~ ONLY WITH ME BY KELLY ELLIOTT.